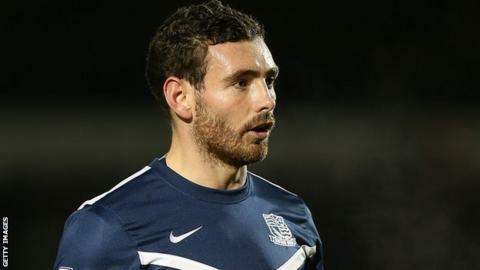 Winger David Worrall scored a superb free-kick to defeat Bury and keep alive Southend's hopes of gaining automatic promotion from League Two. Ex-Bury man Worrall curled in from 25 yards to take his side level on points with third-placed Wycombe Wanderers. Tom Soares, Joe Riley and Danny Rose went close for Bury, who had started the game a point ahead of the visitors. But they could not find a goal despite the backing of more than 8,000 fans who were all admitted for free. The offer was made after the original fixture was abandoned in March because of heavy rain with less than 10 minutes played and the club's biggest home crowd for nearly 18 years turned up. Despite Bury having the better of the first half, Southend forced their way into the game and substitute Worrall made the decisive intervention in the 74th minute after Kelvin Etuhu fouled Jack Payne. Nathan Cameron had a chance to equalise late on but headed wide before Ryan Lowe was denied by goalkeeper Daniel Bentley, who ensured his and Southend's seventh successive clean sheet. Match ends, Bury 0, Southend United 1. Second Half ends, Bury 0, Southend United 1. Attempt saved. Tom Soares (Bury) right footed shot from the centre of the box is saved in the centre of the goal. Attempt missed. Danny Mayor (Bury) header from the centre of the box is just a bit too high. Adam El-Abd (Bury) is shown the yellow card. Corner, Southend United. Conceded by Tom Eaves. Corner, Southend United. Conceded by Chris Hussey. Corner, Bury. Conceded by Ryan Leonard. Attempt blocked. Tom Soares (Bury) right footed shot from outside the box is blocked. Corner, Bury. Conceded by Ben Coker. Corner, Bury. Conceded by Michael Timlin. Substitution, Southend United. Myles Weston replaces Will Atkinson. Substitution, Bury. Tom Eaves replaces Joe Riley. Substitution, Bury. Craig Jones replaces Kelvin Etuhu. Goal! Bury 0, Southend United 1. David Worrall (Southend United) from a free kick with a right footed shot to the top left corner. Attempt saved. Ryan Lowe (Bury) right footed shot from the left side of the box is saved in the centre of the goal. Joe Riley (Bury) wins a free kick on the left wing. Attempt missed. Michael Timlin (Southend United) right footed shot from outside the box is close, but misses to the right. Chris Hussey (Bury) wins a free kick in the attacking half. Attempt missed. Jack Payne (Southend United) right footed shot from outside the box misses to the left.